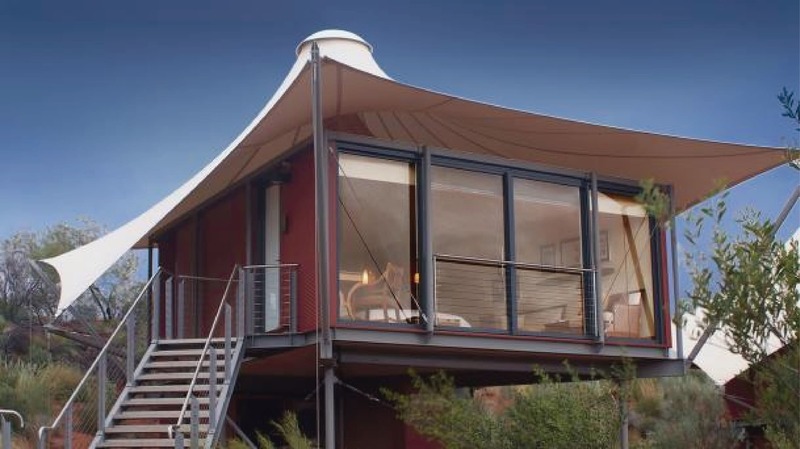 From globally acclaimed luxury lodges to character-filled high-end bush camps and private wildlife conservancies - Australia-wide you'll find these environmentally-sensitive luxury lodges perched on the edge of national parks. amongst desert sand dunes; overlooking the ocean; on islands fringed by World Heritage coral reefs; and amid pristine rainforests. 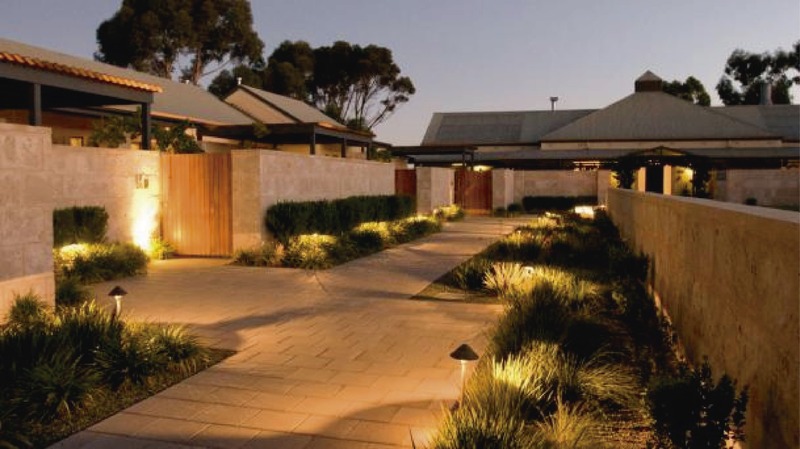 Accommodating just a few guests at one time, immerse yourself in uniquely Australian landscapes and experiences, up close to wildlife, exquisite culinary experiences and wines, while being assured of all the soft luxuries in accommodation. Located on its own vineyard in Western Australia’s Margaret River wine region, the ocean and beaches nearby, and one of Western Australia’s finest dining rooms, Cape Lodge is like staying at a private and sophisticated country estate, with all the facilities of a world class boutique hotel offering the finest food and wine. 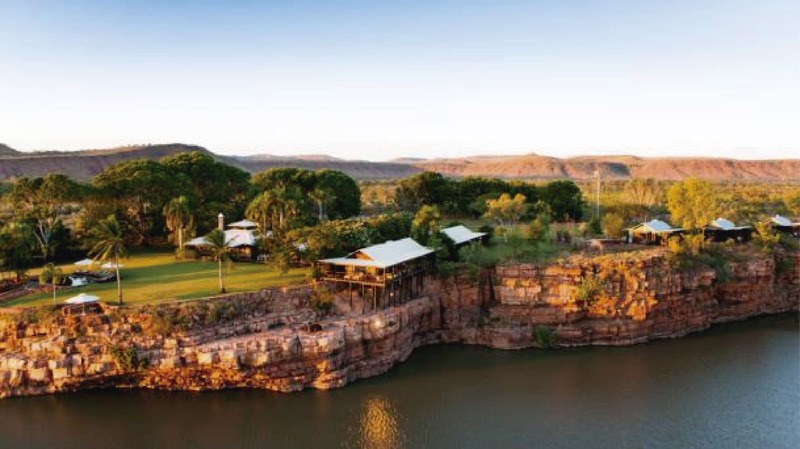 The luxury of the El Questro Homestead sits in stark contrast to its rugged Kimberley landscape. Perched on a cliff top overlooking the stunning Chamberlain Gorge, the homestead offers luxury accommodation for just 18 guests and tours guided by local experts of the one million acre wilderness park. Take a scenic flight to the World heritage-listed Bungle Bungle Range in Purnululu National Park. 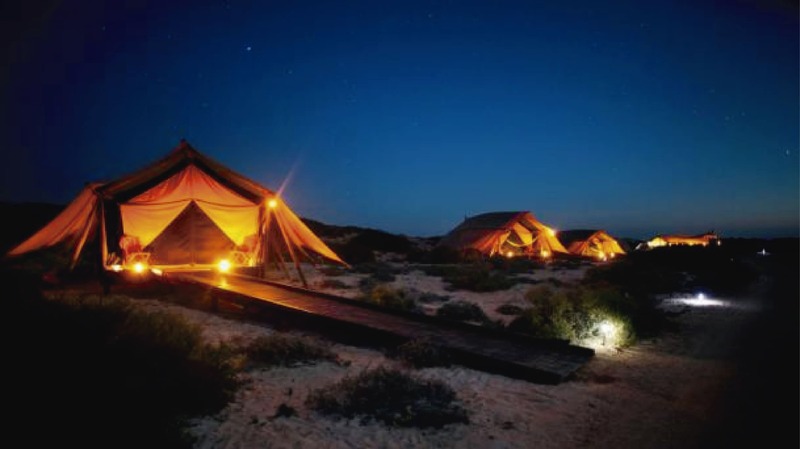 The nine luxurious wilderness tents of Sal Salis are just a few steps away from World Heritage-listed Ningaloo Reef, one of the best places in the world to swim with whale sharks. Hidden amongst sand dunes Sal Salis offers a touch of safari style to this remote and beautiful wilderness. Nearby Cape Range National Park abounds with Australian wildlife. Experience luxury on the water aboard the 18-cabin adventure cruise ship True North. 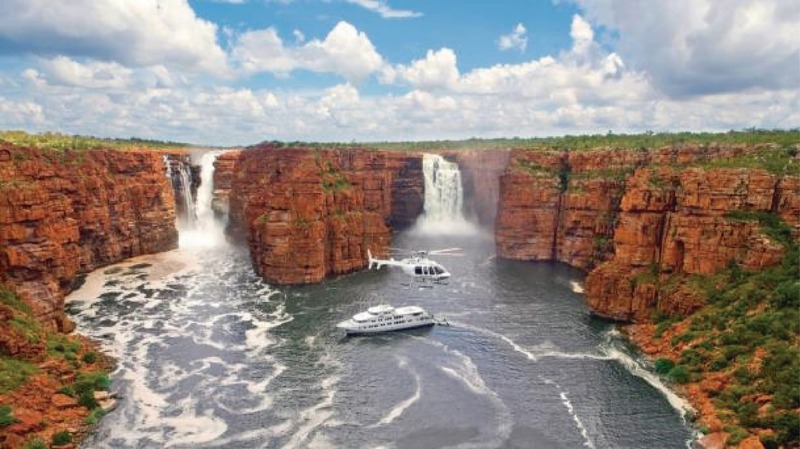 An unbeatable way to discover the rivers, gorges and wilderness of the remote Kimberley coastline of Australia. There is an on-board helicopter and 6 expedition boats for daily adventures and 19 expert crew who provide outstanding insights to this remote land, personalized service and superb dining for a maximum of 36 guests. 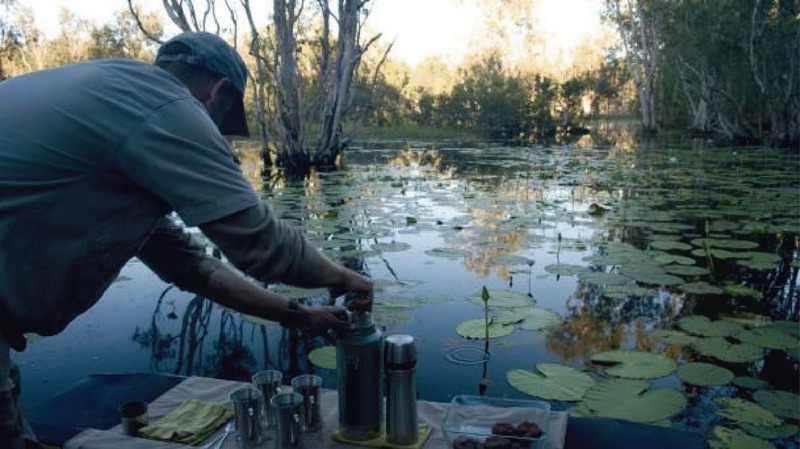 Bamurru Plains is an exclusive nine bungalow camp offering guests a touch of ‘wild bush luxury’ on the Mary River floodplain, adjacent to Kakadu National Park. Guests experience personalized guided activities, including air-boat safaris, crocodile-spotting and bird-watching tours, fishing trips, four-wheel drive safaris, helicopter flights and guided tours to the rock art galleries of Arnhem Land. Located near World Heritage-listed Uluru-Kata Tjuta National Park, Longitude 131° is a gathering of luxury pavilions overlooking Uluru. The 15 canopied suites have private views of Uluru so guests can enjoy the awe-inspiring changing colours of the landscape as the sun rises and sets. Dine in the desert under a glittering canopy of stars and take an exclusive tour with your guide to discover the authentic outback and indigenous culture of the desert. With a backdrop of the Flinders Ranges, Arkaba’s 60,000 acre private wildlife conservancy is home to a wondrous variety of bird and wildlife and a remarkable conservation story.. The 1850’s Homestead has just five guest rooms, and the real luxury at Arkaba is sharing this spectacular landscape and conservancy with just handful of other guests. Take a scenic flight over Wilpena Pound, a guided day or night walk or a safari drive to truly experience the outback and its wildlife. 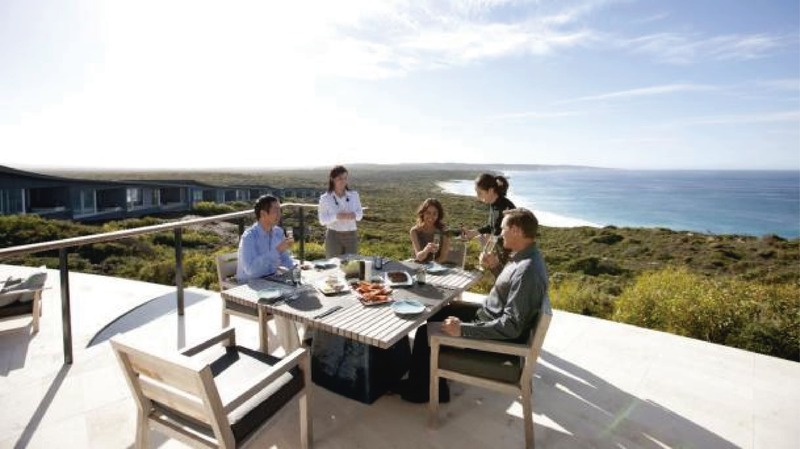 Southern Ocean Lodge is located on pristine Kangaroo Island offering a fusion of nature and luxury. This multi-award winning lodge is regarded amongst the finest in the world. The 21 luxury suites command spectacular views over the Southern Ocean and natural wilderness. Enjoy fine dining on exceptional local produce, and an exclusively South Australian wine selection. Personalised touring allows for extensive exploration of the wonders of the island and close-up wildlife encounters. The Louise boasts 15 luxuriously appointed suites, each with its own terrace overlooking the vistas of the surrounding vineyards of the Barossa Valley. The daily chef's tasting menu of the award-winning signature restaurant Appellation has received national recognition and continues to be a magnet for culinary nomads. Private winemaker introductions and other bespoke activities may be arranged for guests. Australia’s northern-most island resort on the Great Barrier Reef, Lizard Island is the only accommodation on the island and truly secluded from the rest of the world. Stay in one of the 40 private suites, The Pavilion or The Villa and enjoy superb cuisine and indulgent spa treatments. Explore the 24 pristine white sand beaches, dive or snorkel amongst coral reefs and brightly coloured tropical fish and discover the giant clam garden. qualia is a place of deep sensory sophistication. 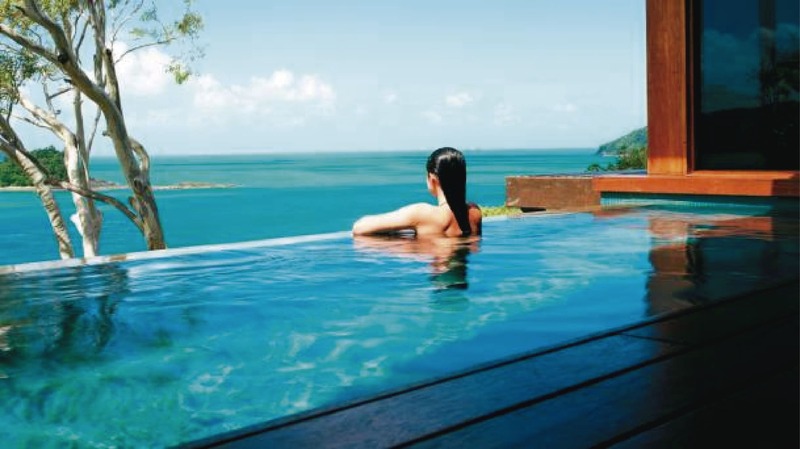 Located on the secluded northern tip of Hamilton Island on the Great Barrier Reef, qualia has a choice of 60 private standalone pavilions, many with plunge pools and natural outdoor showers. Enjoy water-based activities from snorkelling and diving the Great Barrier Reef, to sailing the Whitsunday Islands or play a round at Australia’s only island championship golf course, the Hamilton Island Golf Club. 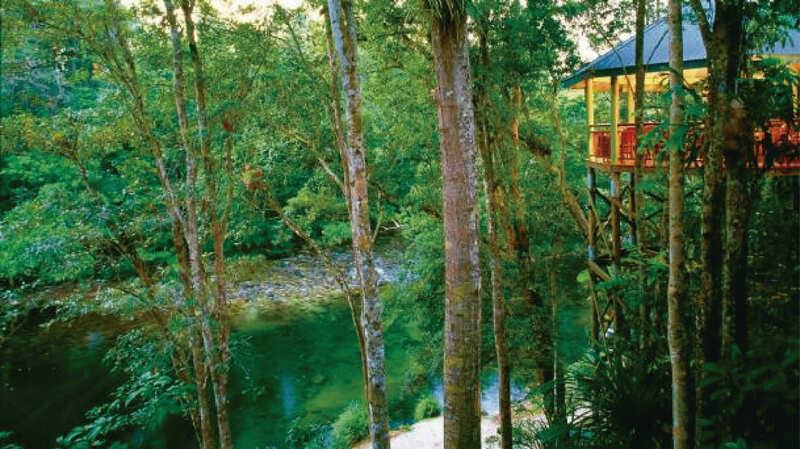 Silky Oaks Lodge is 20 minutes from Port Douglas and set in 80 acres bordering the World Heritage Listed Daintree National Park, overlooking the beautiful Mossman River. 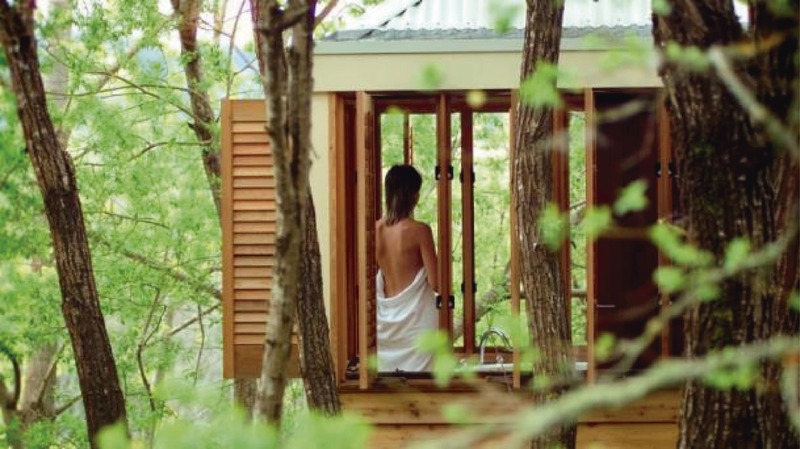 Accommodation is luxury treehouse style. The Silky Oaks Safari offers a great guided introduction to this ancient refugial rainforest. Add to that, fine dining in a treehouse, early morning yoga classes, treatments at the Healing Waters Spa, lazy swims in the Billabong or simply enjoy the stunning forest and river vistas. 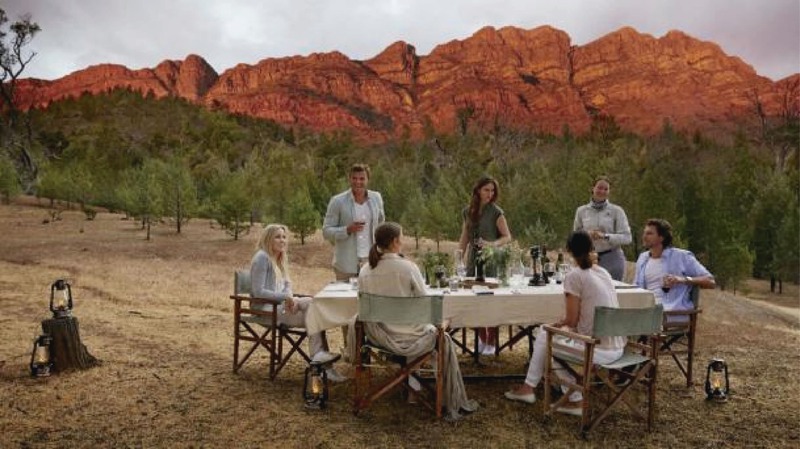 Hidden in the rugged outback of North Queensland, Crystalbrook Lodge, a secret outback mecca caters to only 10 guests. 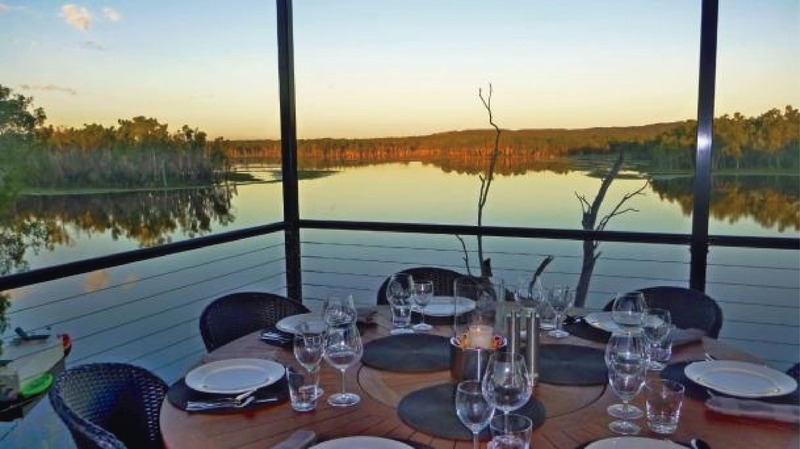 It is an outback oasis of luxury perched over the spectacular 300 acre Crystalbrook Lake. A 40 minute flight from Cairns, the lodge offers activities for guests from hiking trails, scenic helicopter flights, fishing, bird-watching, photography, all within the working Crystalbrook cattle station, or excursions to nearby outbck town Chillagoe for one of the best pub hamburgers around. 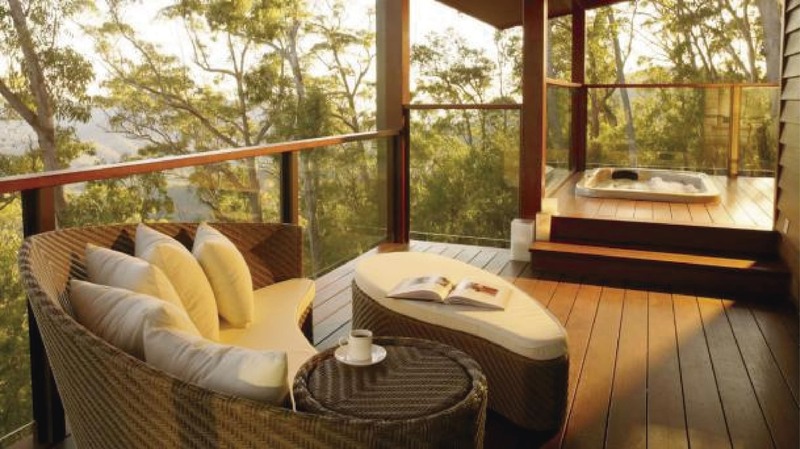 Spicers Peak Lodge is Queensland’s highest non-alpine mountain lodge, located on 8000 acres of private conservation land, and surrounded by the World Heritage-listed Main Range National Park. Stay in one of the ten suites or a private lodge with its own infinity spa. 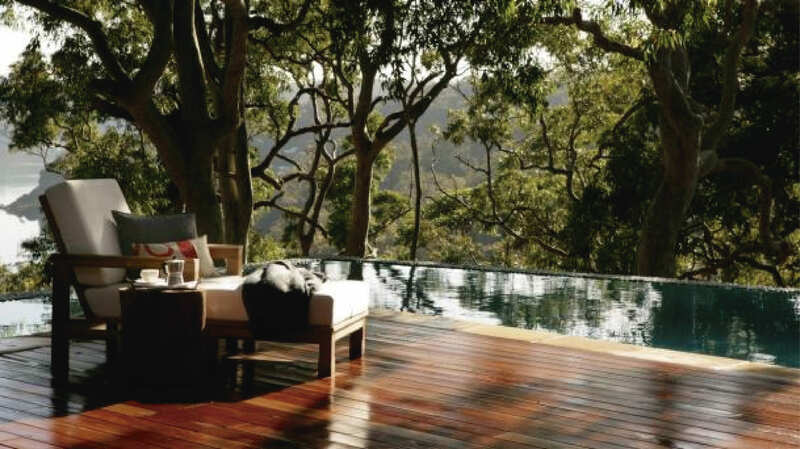 Go bushwalking or mountain biking in a tropical rainforest, indulge at Spa Anise, enjoy outstanding dining at the famed Spicers Peak restaurant or simply take in the endless views. 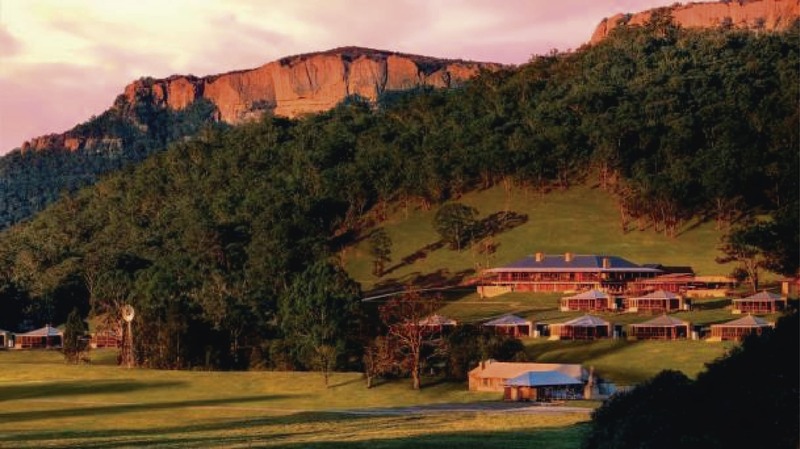 Emirates One&Only Wolgan Valley is located within its own private conservation and wildlife reserve between two national parks in the spectacular bush setting of the World Heritage-listed Greater Blue Mountains. The lodge has 40 individual suites each with a private swimming pool, distinctive dining, and standalone Timeless Spa. Guests enjoy a range of nature based activities including nature walks, wildlife spotting and horse riding. 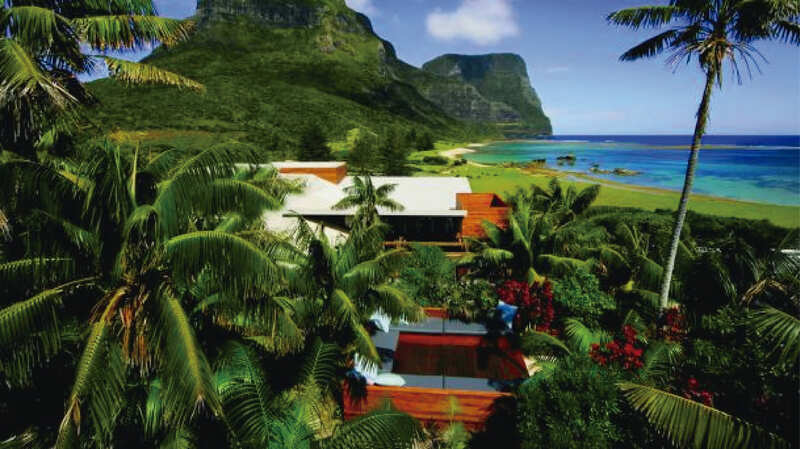 Lord Howe Island is a paradise lost in time and perfectly preserved. Capella Lodge has nine contemporary beach-luxe suites overlooking romantic Lovers Bay, spectacular views of the surrounding ocean and the island’s two defining mountains. Dining in the Lodge Restaurant showcases a bounty of local seafood and fresh regional produce. Explore rainforest tracks, white-sand beaches, rare wildlife and the world’s southernmost coral reef. Offering a new style of luxury, the exclusive Pretty Beach House has just four, one-bedroom pavilions on the seven and a half-acre property, with guests experiencing all-inclusive, personalised butler service and a superb food programme designed by Stefano Menfredi. Nestled into the escarpment, high above Pretty Beach on the NSW Bouddi Peninsula, guests will discover a private beaches and a tranquil coastal bush setting just 90 minutes north of Sydney. 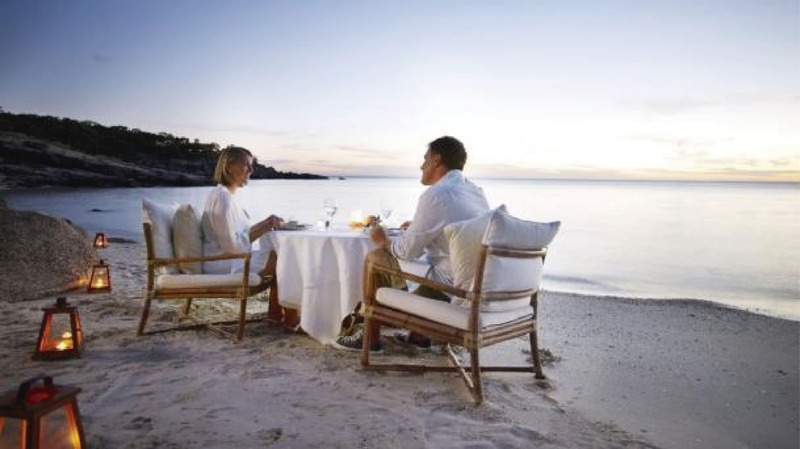 Enjoy guided bushwalks, aquatic adventure, spa treatments and cooking classes. Just 90 minutes from Melbourne, the Lake House sits on the idyllic Lake Daylesford, in the heart of Victoria’s Spa Country. 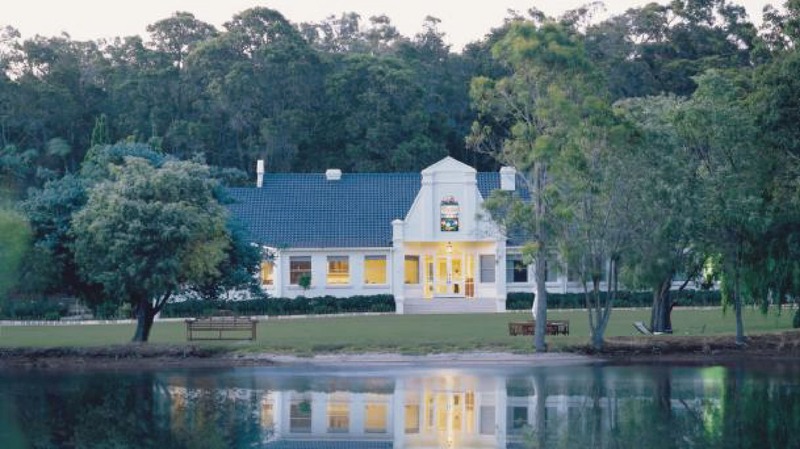 Boasting one of Australia's most revered regional restaurants Lake House is at the heart of modern Australian cuisine. The Lake House’s 35 rooms are individually furnished with original artworks from this culturally rich region. Artists’ studios, boutique day spas and its healing mineral springs, gives Daylesford its sophisticated bohemian feel. 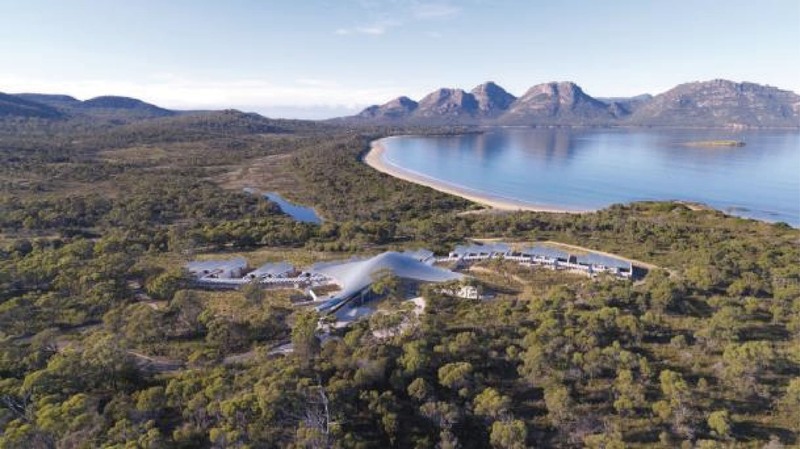 Saffire, blends barefoot luxury with the breathtaking natural beauty of the Hazards Mountains and pristine waters of Great Oyster Bay and the Freycinet Peninsula. Featuring 20 luxurious suites and a day spa, Saffire is a celebration of the art of service, wellbeing, nature and local culinary delights. Hike in the Freycinet National Park, visit Saffire’s Tasmanian Devil reserve, kayak, fish, go bird-watching or don waders for a unique way to discover the delicacy of natural oysters.